Drink 23 Mate – it energizes you without exciting you. The most economical and ecological drink of the people! 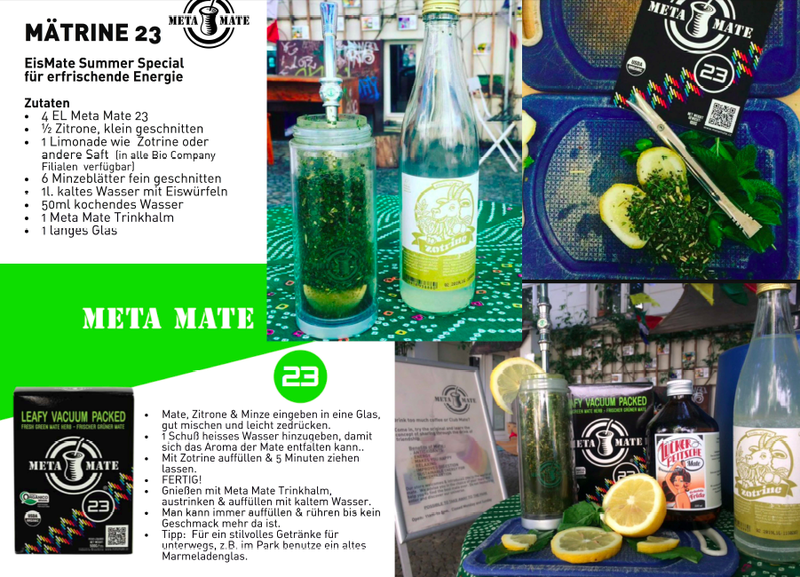 The German claim to our 23 Mate has received some criticism for advertising itself as being a drink for the masses, it is affordable, and we take pride in this. Those looking for something more authentic, with bigger bio diversity, hand work and better impact for the environment we recommend to try our artisanal mates. 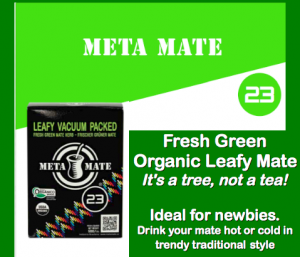 23 Mate goes against the general trend where customers have to pay 2-3 times the price of a product just because it is certified organic. We want the urban masses to drink Mate, so we have made a mate for the people in a handy way to carry. Here are some 23 recipes for a DIY Terere. 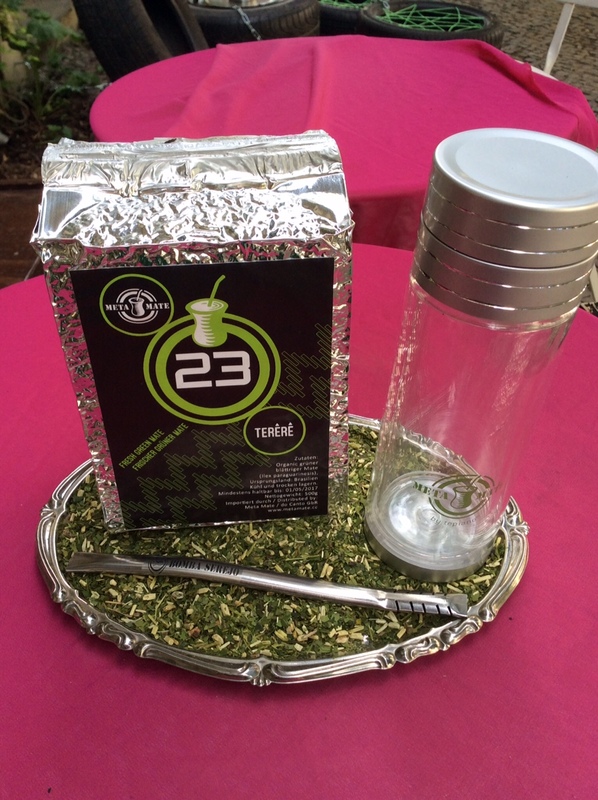 23 Mate is an organic certified mate that is vacuum packed directly after production to ensure it’s freshness. It has a mild grassy taste and is not so bitter when compared to other industrial Yerba Mates that are stored for at least a year before coming on the market. The freshness ensures a higher anti-oxident content and the leafy cut lends itself to easy preparation and hassle-free filtration. 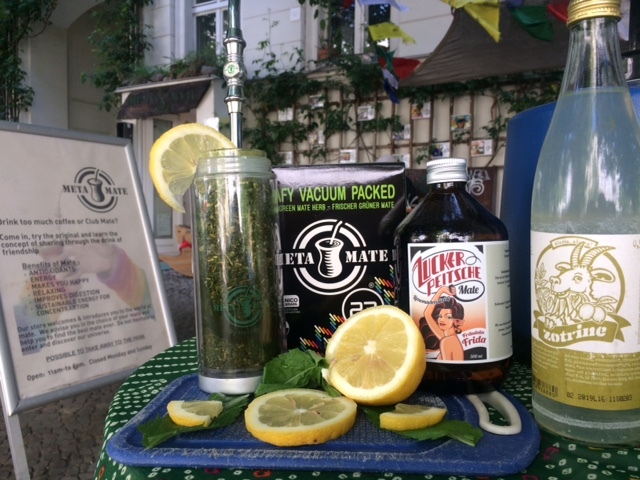 It is a good industrial mate, ideal for beginners or those on a tight budget and an attempt for us to make fresh mate more affordable for drinkers. However, 23 is only the beginning of the mate spectrum, and we recommend drinkers to graduate to the next level when they are ready and try the hand made mates.